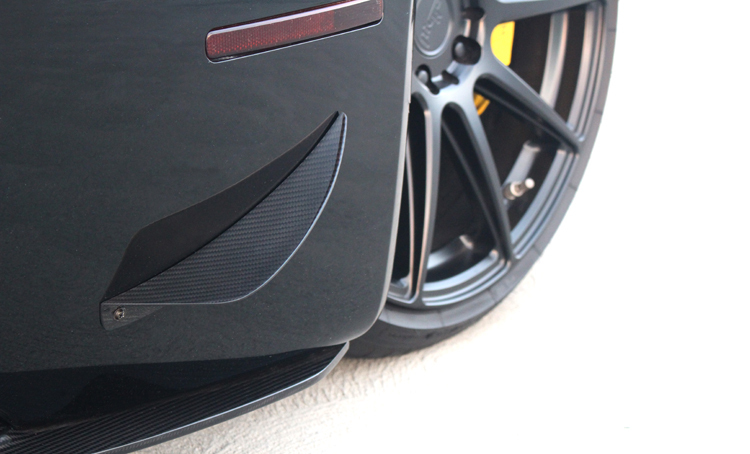 These carbon fiber dive planes, also referred to as canards are engineered to fit to the Vantage front bumper and produce additional downforce to the front of the car by deflecting oncoming air. The design of them also directs air away front the front tires reducing drag. Sold as a Pair.